The Houston Chronicle reports that the total number of jobs available for pipefitters will increase by 26% between 2010 and 2020, according to the BLS. The average salary for pipefitters in the United States is currently $51,830 per year, with the top ten percent earning over $80,000 per year. Training at Tulsa Welding School prepares an aspiring pipefitter for a promising career. Whether you chose to enroll in the Pipefitting Training Program or the Welding Specialist with Pipefitting Program, you will receive comprehensive in-class and hands-on instruction. Moreover, either program can be completed in less than a year, enabling to start your pipefitting career as soon as possible. 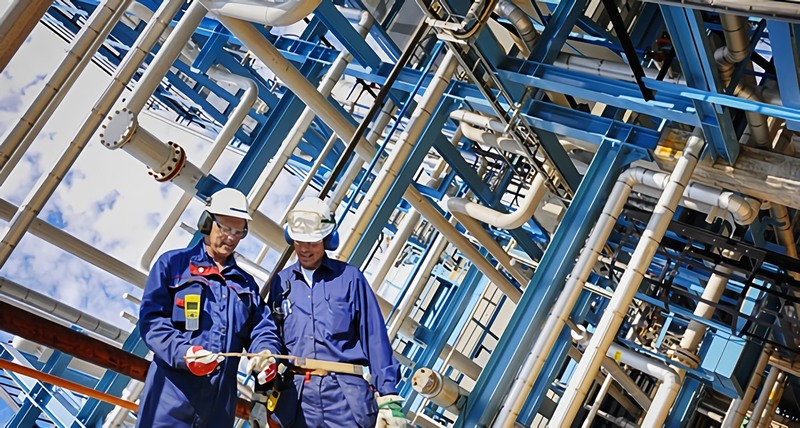 Pipefitters are licensed in Alabama by the state’s Plumbing and Gasfitters Examining Board. Pipefitters in Alaska need a plumber’s license issued by the Alaska Department of Labor and Workforce Development. Pipefitters in Arizona are required to hold a contractor’s license issued by the Arizona Registrar of Contractors. In Arkansas, a pipefitter needs both a contractor’s license as a plumber from the Arkansas Contractors Licensing Board and a license from the Arkansas Department of Health. California requires a pipefitter to have a contractor’s license issued by the Contractors State License Board depending on the type of work they perform. Colorado pipefitters need a license by the Colorado Department of Regulatory Agencies. A pipefitter needs to get a Plumbing & Piping Contractor’s License issued by the Connecticut Department of Consumer Protection. Delaware’s Division of Professional Regulation issues journeyman licenses after apprentices have at least seven years of experience. The District of Columbia Board of Industrial Trades requires pipefitters to have a plumber’s license. Florida’s Construction Industry Licensing Board issues a license to be a Certified Plumbing Contractor that includes the pipefitting specialty. The Georgia Board of Residential & General Contractors provides licenses to pipefitters in Georgia. The Department of Commerce and Consumer Affairs issues contractor licenses for pipefitters. The Idaho Bureau of Occupational Licenses issues licenses for plumbing contractors and journeymen. Pipefitters do not need1 a license in Illinois. The Indiana Plumbing Commission issues apprentice plumber and journeyman plumber licenses needed to work as a pipefitter. Pipefitters must register as a contractor with Iowa’s Division of Labor Services. Kansas does not provide licenses for pipefitters on a state level. Nevertheless, licenses may be required on a local level. In Kentucky, the Department of Housing, Buildings & Construction issues licenses for pipefitters. The State Licensing Board for Contractors is the regulatory agency in Louisiana that handles the licensing of pipefitters. The Professional & Financial Regulation Board in Maine issues licenses that cover the work of pipefitters. Pipefitters need a journeyman or master license from the Maryland State Board of Plumbing. The Massachusetts Department of Public Safety requires pipefitters to obtain a license. Michigan issues apprentice, journeyman and master licenses for pipefitters through the Plumbing Division of the Department of Licensing and Regulatory Affairs. In Minnesota, pipefitters need a plumbing license issued by the Minnesota Department of Labor & Industry. Mississippi pipefitters need a commercial construction contractor’s certificate with a special mechanical certification issued by the Mississippi State Board of Contractors. The state of Missouri does not provide2 statewide contractor’s licenses. Local ordinances may apply. Pipefitters in Montana require a plumbing license issued by the Montana Board of Plumbers. There are no specific3 licensing or certification requirements for pipefitters in Nebraska. Contractors working in counties that have populations over 100,000 people must have a business license. Pipefitters working in Nevada need a contractor’s license issued by the Nevada State Contractors Board. The Bureau of Building Safety & Construction issues licenses for those wanting to work as pipefitters in New Hampshire. Pipefitters need a license issued by the State Board of Examiners of Master Plumbers in New Jersey. In New Mexico, pipefitters need to get a license for mechanical plumbing from the New Mexico Regulation & Licensing Department. New York has no4 statewide licensing for pipefitters. All the regulations that apply to pipefitters are at a local level. Anyone doing pipefitting work in North Carolina falls under the general category of plumbing and needs to have a contractor’s license issued by the North Carolina Licensing Board for General Contractors. The State Plumbing Board issues licenses to pipefitters in North Dakota. Pipefitters need to have a contractor’s license issued by the Ohio Department of Commerce. Pipefitters in Oklahoma require a license from the Construction Industries Board. Pipefitter licenses are issued by the Department of Consumer & Business Services. There are no licenses5 required for pipefitters in Pennsylvania. Pipefitters must obtain a plumbing license from the Rhode Island Department of Labor and Training. In South Carolina, pipefitters need a mechanical contractor’s license from the South Carolina Contractors’ Licensing Board. The South Dakota State Plumbing Commission issues apprentice, plumbing contractor and journeyman plumber licenses. Tennessee requires pipefitters to have a contractor’s license issued by the Board for Licensing Contractors. Texas pipefitters must be licensed through the Texas State Board of Plumbing Examiners. Pipefitters in Utah need a license from the Division of Occupational and Professional Licensing. In Vermont, pipefitters need a plumbing contractor’s license issued by the Department of Public Safety. The Department of Professional and Occupational Regulation in Virginia issues journeyman licenses under the Tradesmen Program. Washington requires pipefitters to register as a specialty contractor with the Department of Labor & Industries. The West Virginia Division of Labor issues contractor licenses for pipefitters. The Wisconsin Department of Safety and Professional Services provides several credentials to pipefitters. There is no statewide program in Wyoming to license pipefitters. Local and county regulations apply instead. Many states require a minimum amount of years working as an apprentice before applying for the full journeyman license. Some states allow further qualifications to a master level after being a journeyman. Besides needing to have the proper levels of experience, there are rigorous tests that pipefitters have to pass to obtain these certifications. However, hard work and study will often pay off for those who dedicate themselves to this in-demand 6 career. Contact Tulsa Welding School for information about enrolling in a pipefitting training program.